Regular readers will know I recently bought myself a telescope, a Celestron 5SE Schmidt-Cassegrain reflector but this post covers some astrophotography conducted without the aid of a telescope almost the opposite in fact. 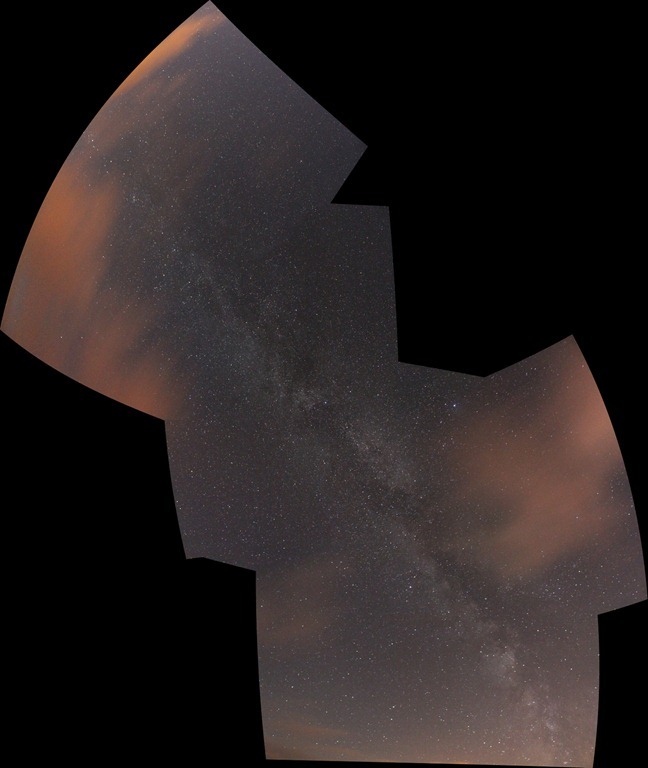 I’ve been on holiday recently to somewhere with pretty good dark skies, unfortunately I did not have my telescope with me but I did have a tripod, a Canon 600D SLR and a collection of lenses although in this instance I just used the 18-55mm kit lens at the wide end (18mm). I also had my planisphere and a copy of the free planetarium software, Stellarium. I’ve used my camera with a standard lens to take photos of the night sky before: to make star trails, so far my experiments in this area have been a bit disappointing. The aim with star trail photographs is to have nice bright trails showing the apparent motion of stars around the pole as the earth rotates, against a dark background. In my experiments I used 30s exposures at f/4, ISO200 on a 10mm lens which I then combined using a simple application called StarTrails. Back to my holiday snaps – I started my evening taking photos as I had done for my star trails, I have to say this was all a bit disappointing – individual photos do show the stars in the sky and with some effort one can trace out the patterns of the constellations – you might just be able to spot Cassiopeia in the image below. 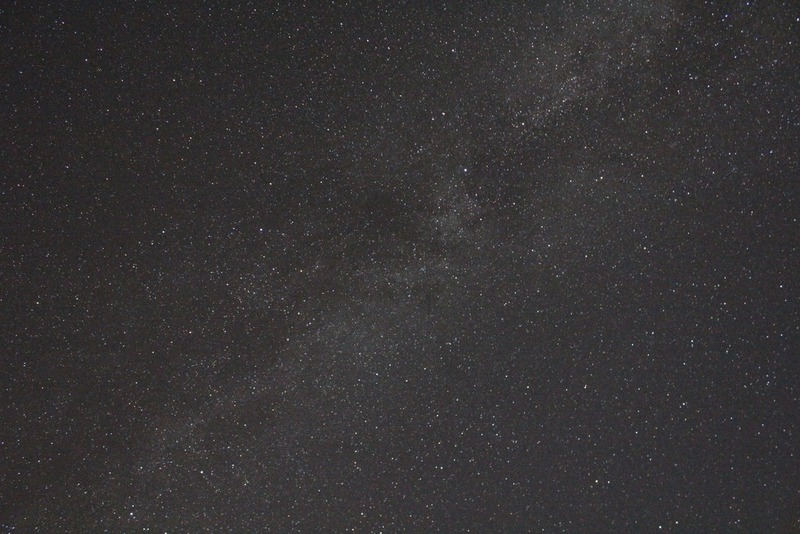 Cassiopeia is in there somewhere but there are just so many more stars (and a few clouds). This opened the flood gates and I indiscriminately fired off shots along the line of the Milky Way, just visible in the image above. 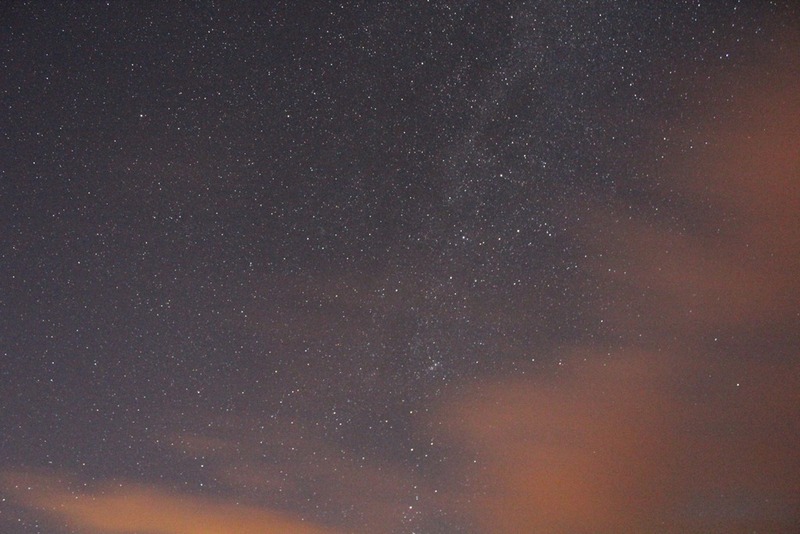 At this time of year, in the early evening in the UK the Milky Way goes from horizon to horizon passing almost directly overhead starting a little East of North and finishing a little West of South. This spans almost horizon to horizon. I was rather pleased with this, however I struggled to work out where I was in the sky, picking out constellations from the huge mess of stars is very tricky. 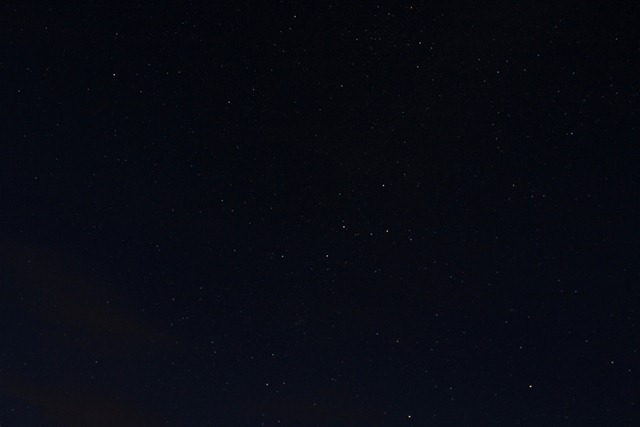 It turns out help is at hand in the form of astrometry.net, this is an online service which takes an image of the night sky and works out which bit of the sky it shows and labels it all nicely. It can’t handle the mosaic image shown above, but can handle the individual images – you can see my images here. One of the formats in which data is provided is Google Earth’s KMZ format, so you can see the images projected onto the celestial sphere in Google Earth – my combined KMZ file is here, it’s 12MB. working out how to turn off the security lights of the holiday cottage we were staying in would have been good. All in all a rather fun evening!